This month, we have the gorgeous Build-A-Flower: Hibiscus! Hibiscus are native to warm climates and are associated with tropical weather and relaxing summer days. Hibiscus flowers have symbolized many things throughout history, but are now most commonly known to represent “delicate beauty.” This set comprises of a 6 layer hibiscus flower in full bloom, a 6 layer hibiscus bud with stem, and a 4 layer leaf image. Three sentiments are also included. These floral images work well on cards, layouts, home decor, gift wrapping, and more. We can’t wait to see where these beautiful tropical flowers take your imagination! So some of our talented design team members and special guests have created stunning projects to spark your creativity using the new Build-A-Flower: Hibiscus Set. We hope you love what they have come up with. To celebrate this special release, we are giving away a $30 gift certificate to SIX lucky winners! Please leave a comment here on the Altenew Scrapbook Blog and/or Altenew Card Blog for a chance to win. The winners will be announced on Sunday, April 8th. Wow, do those scrapbook pages look amazing! 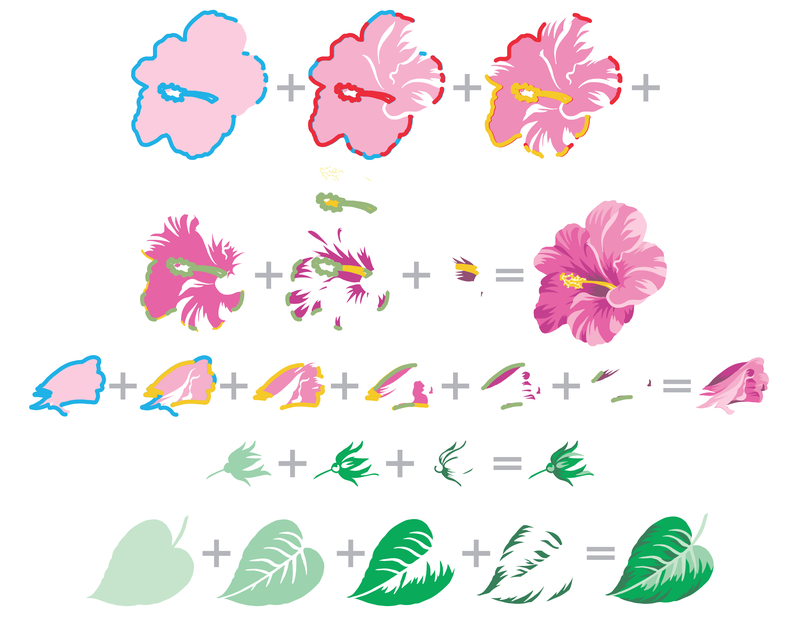 The stamped hibiscus turn these layouts into work of art that should be framed. I love it! Beautiful set and love all the inspiration!